Josh Raneri won the Clubman Light event in absolutely brilliant style. In the Final of the Gold Cup at the Todd Road, Melbourne Complex he crushed the opposition in his CRG Black Diamond chassis. 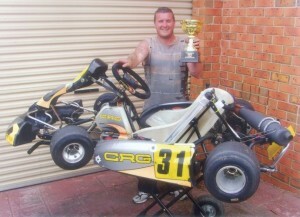 Matt McDonald in only his second kart race ever, won convincingly in the Tag Restricted class. 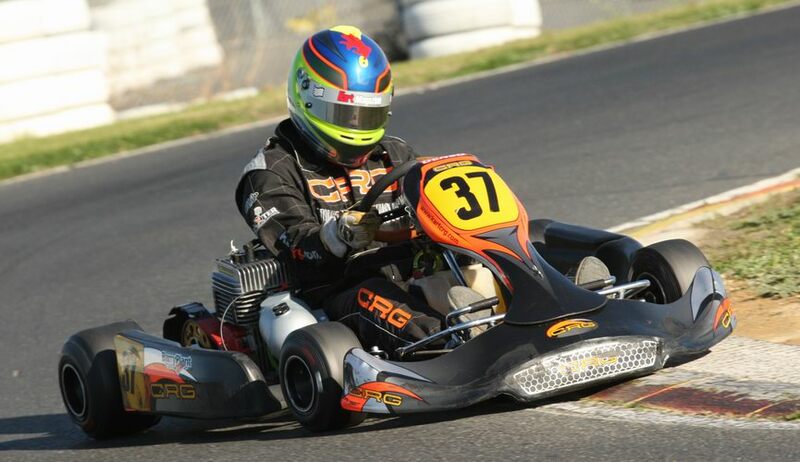 Driving his CRG Maximo chassis he started in 14th position on the grid for the Final. Well done Matt. Steve Johnson again showed his dominance in the Rotax Over 40’s Class. The changing weather during the Pre-Final proved to be very costly. 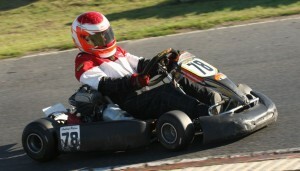 He fought valiantly to get to the front and at the end only missedby half a kart from winning the event. Andrew Petrou had the misfortune of slightly erring with his set up for the Final of Junior National Light. Starting in pole position in his CRG Junior Rebel chassis he managed to achieve a very close and creditable 2nd place.